Hey, lookie here, the ringtones pack from the Sony Xperia Z3+, that must be same in Xperia Z4 too. I have personally found Sony’s ringtones very fascinating ever since the days of Xperia Arc — that stylish phone whose beauty is still unparalleled. Yes, the Galaxy S2 stole the show that year, rightly so, but Xperia Arc is one device that I would want to see again sporting 3GB RAM and Snapdragon 810. Anyway, to me, Sony’s premium touch makes it to their custom UI, including media files like ringtones that come with Xperia phones and tablets. 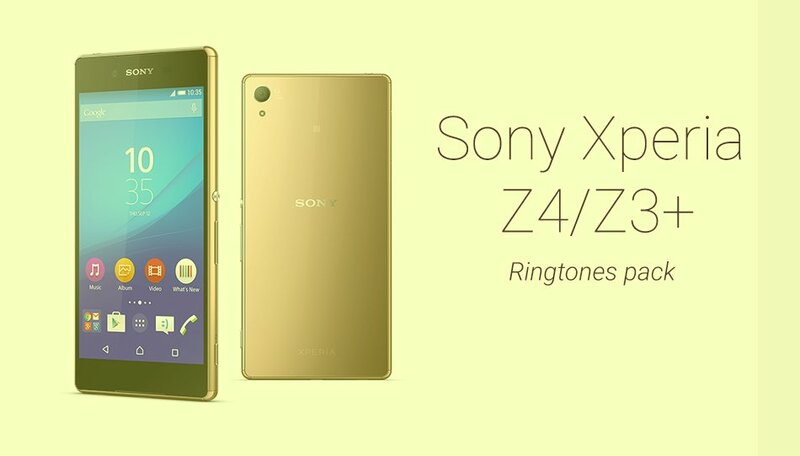 The Xperia Z4/Z3+ ringtones pack provided as download below is your lot of 35 alarm tones, 89 notification tones, 50 ringtones, 18 UI tones and some camera tones in specific folder. We hope you’ll love them. Do mention your favorite ones in the comments below.